Thanks for the comment yes it's quite remarkable what can be done now, even with a Homeprinter which is something I am now looking at after receiving a few samples from a printer manufacturer. Sorry to drag this up again (You never know, might get you some publicity) not even sure if you're on here any more as I can't tell by looking at your profile. I've been looking into a spot of 3D printing, or at least having a go at the CAD. 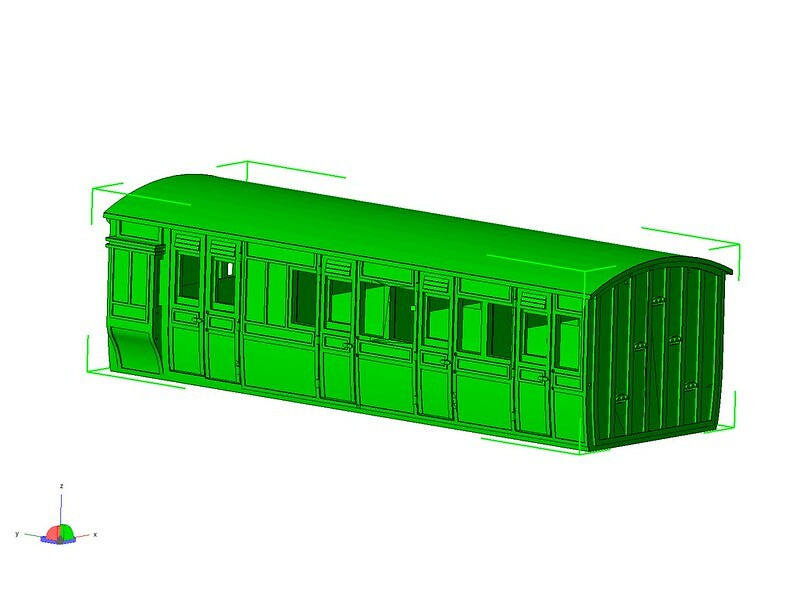 I've been using Google sketch-up which I note you used for the LBSCR Van but not the coaches, but not for the Mets. You mentioned there was some detail Sketch-up could't deal with, but what was it? Also, I think I know how to draw everything in sketch up, apart from one particular thing. I can do the beading on both curved and flat surfaces, but the rounded corners I can't work out how to do on the curved plane at the bottom of the coach. How did you draw this part? Many thanks, and, having read through this thread again your work still amazes me. Also the tumble home you are referring to which curves from the middle to the base, yea it won't do that either, the LBSC van was drawn to twice the size of an OO model to allow it to do the curve... same problem with the Metropolitan coaches as not only did the sides have a curve the ends did to which Sketchup also won't do. 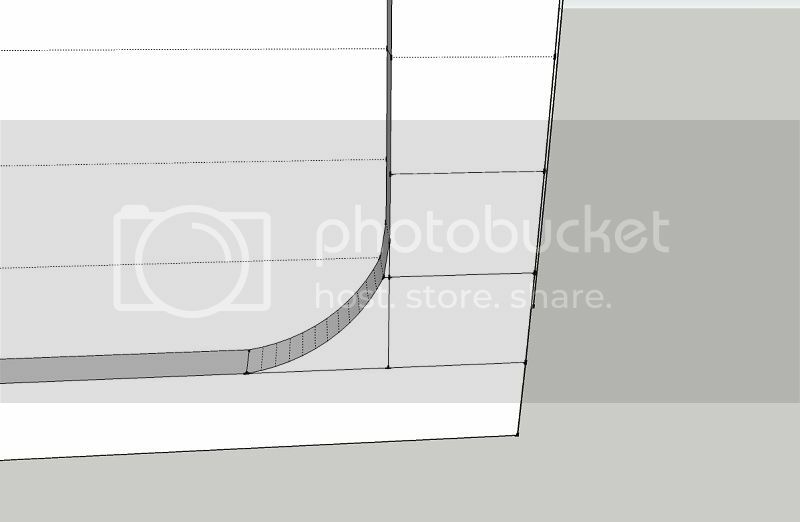 As I said, I can do the straight lines vertical and horizontal on the curved plane, and draw the rounded corner on the curved plane, but can't work out how to make it 3D as of course you can't push/pull it, even with a special plug-in I downloaded it doesn't work. (on the flat it's easy of course). It was drawn as basically a 90 degree corner and the curved section drawn in afterwards all walls behind this were removed as the model would be rejected for printing. 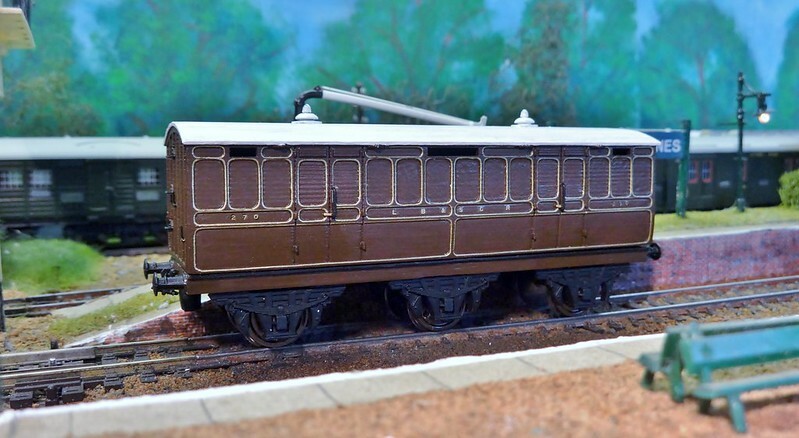 I am looking for your vote, I have entered a small competition with the 4 Metropolitan Coaches which are fully 3D printed, so all I ask is for your Vote, which you can login to the website using facebook and twitter, if you could vote that would be great and I very much appreciate it. I have tried to vote but pressing the vote button didn't seem to do anything despite being signed into the site. I hope you win - you really deserve it with all the work you've put into this. It doesn't do much when you do press vote, if you go to click vote again it will have Contest entry, and a box which says Undo.. where you can reverse your vote. New item soon to be available through me. Nice! Imaterize 'Prime Grey' by any chance? 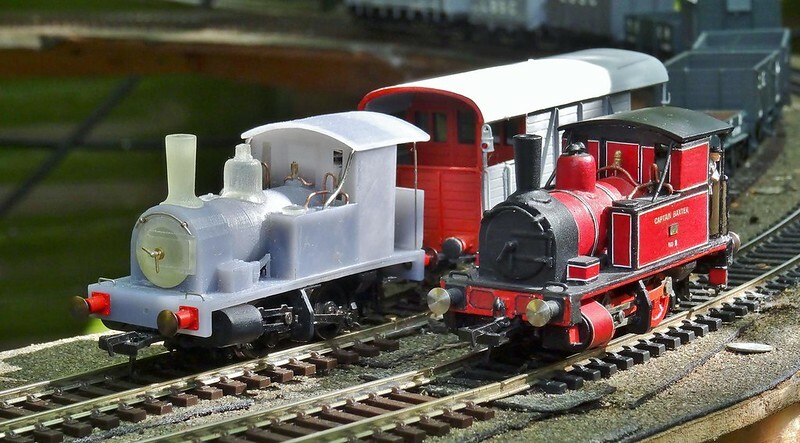 Wasn't the original scratchbuilt? Both look great! No not this time Steve I use private independent printers in the UK, its cheaper and quicker, this was done using a FormLabs Form 1+ SLA based grey resin. 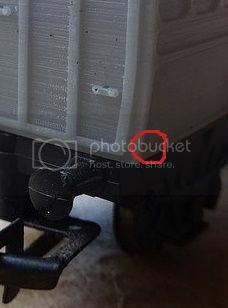 The clearer material is a shapeways product. Not bad going! Good luck and I hope it does well for you. Ahh yes I thought I recognized the name... RMweb/LNER forum, yes follow your topic every time I pass through some impressive work Steve, I have played about with it for a number of years, this one is the last one for a while as no money at the moment due to no job, so decided to put what I had left in to that to get it finished and out there. Yup that's me and thanks! I know how the unemployment situation feels, I haven't earnt anything since October last year and I too am putting what little I have left into projects like yours. Good luck with it all! 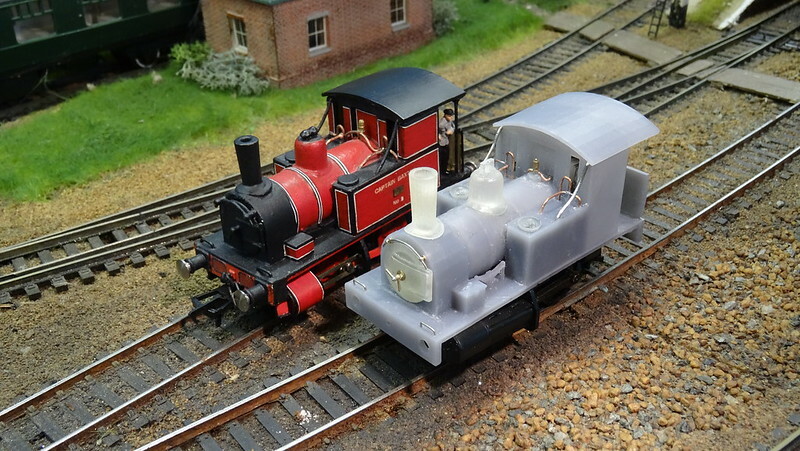 Over the last few months the Captain Baxter 3D prints have been selling rather well, quite a few to Bluebell members, one of which maybe on display in June at the model rail event on the Bluebell. Also doing quite well have been the LBSC perishable goods van. I have had several incomplete 3D models which required a lot of time to finish and get right in order for them to printed. One that had been sitting round the longest was a body shell for the LDCR brake 3rd, or second depending which period your modelling. 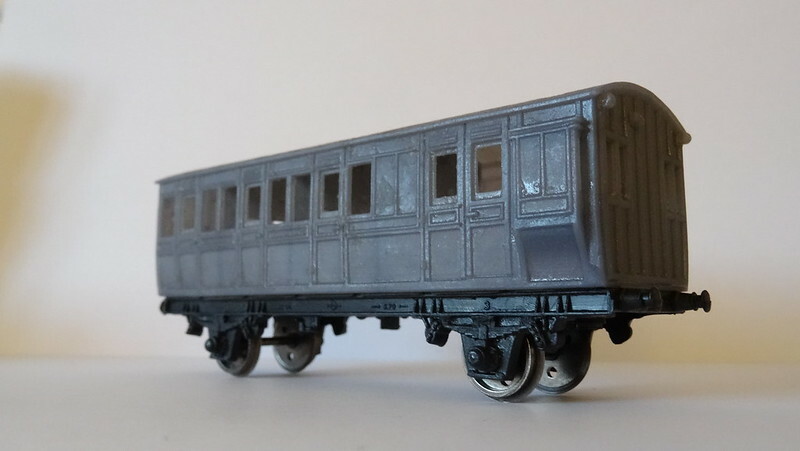 It has been designed to fit a rtr chassis.